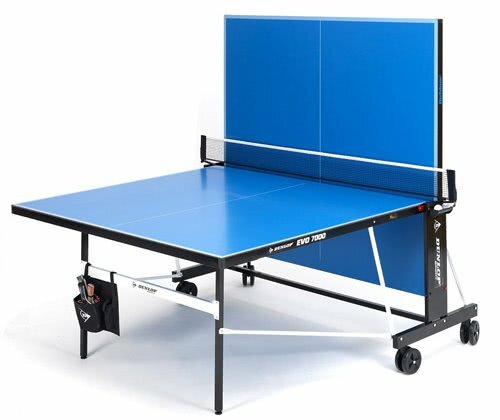 The Dunlop EVO 7000 is a high quality outdoor table with a 7mm fully weatherproof top and sturdy steel construction with a full length steel side panel. There are a number of excellent features that really makes this table stand out: adjustable feet for levelling, an unique folding system designed by Dunlop called the QuickLock Plus DRS and an integrated net and post system that is also adjustable. The EVO 7000 is supplied with a handy ball holder and a full high quality accessory pack.